I looked at this picture and said to myself, "I have to figure out how to do this." 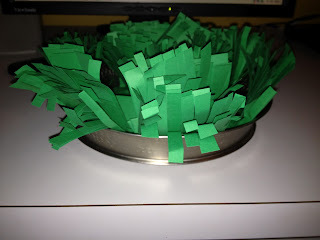 Since I always keep a supply of green printer paper in my cupboard because I shred it for basket filler, I grabbed a piece and started experimenting. So here's how to do it. Take a sheet of 8.5" x 11.0" green paper. Fold it in half the "hotdog" way (skinny way) from side to side. Notice the first grade reference. Fold it again side to side, the opposite way. Make a small thumb wide fold (.5") up at the bottom. Make vertical narrow slits down through all of the layers (the grass). At the left-hand side of the small upwards fold, make a cut along the vertical fold. This enables you to open that fold and bend one layer backwards--so that the grass can stand on it's own. Below are three photos showing how I did this. 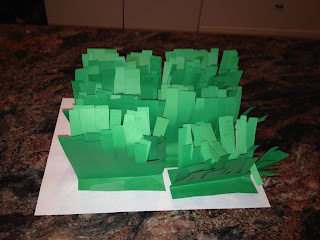 I think I am going to have 24 kids each cut a section of grass in first grade. Then, we can make a garden together. I'll have them tape them to a piece of green poster board. You can cut the folded edges shorter to place them closer together. 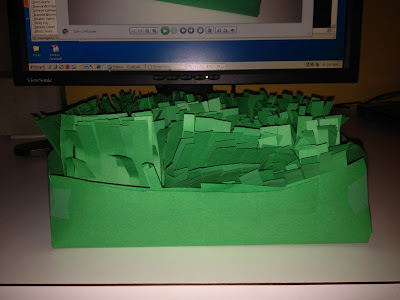 I made a mock-up green box of paper. 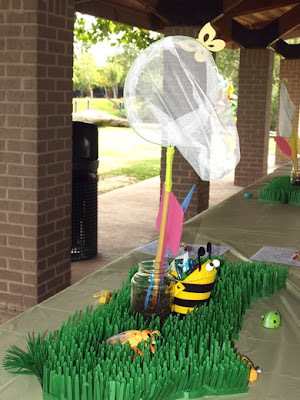 I would use posterboard or a pretty low basket for the centerpiece container. I folded each one of the grasses from the photo above in half again to make them easier to stuff into the box. I had to make one more slit on the folded part to do this. WHAT ARE YOU GOING TO FILL YOUR CENTERPIECE WITH? anything that matches your theme. Michael's sells plain silver tins. 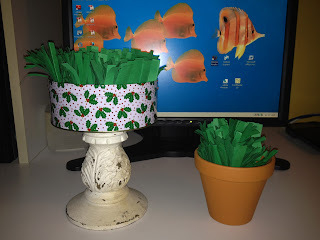 I just grabbed this holly one from the pantry to show you that you could put the tin on a candlestick holder, fill it with grass, and even serve cookies (in your theme) in it. Of cake pops. 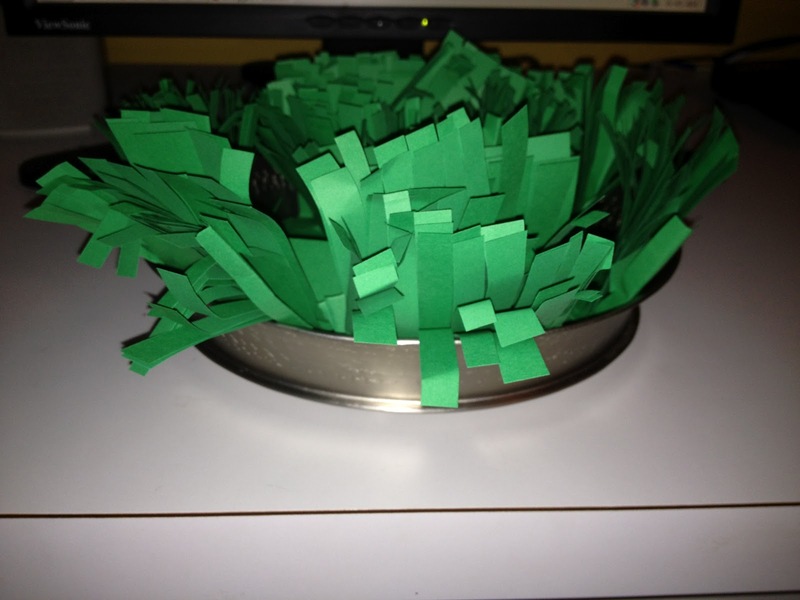 I also put grass in a small clay pot to show you how it dresses it up...even in an antique serving bowl.